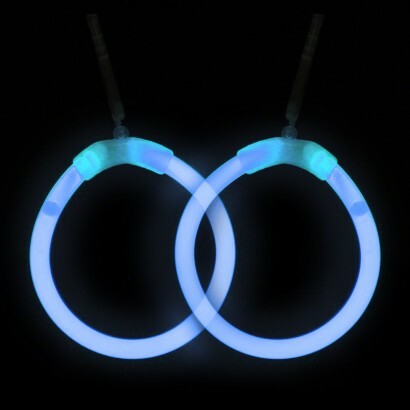 The ultimate party accessory, glowstick hoop earrings are available in mixed packs of green, yellow, blue and pink. Wrapped in pairs, each pack contains two six inch glowsticks and two earring connectors. 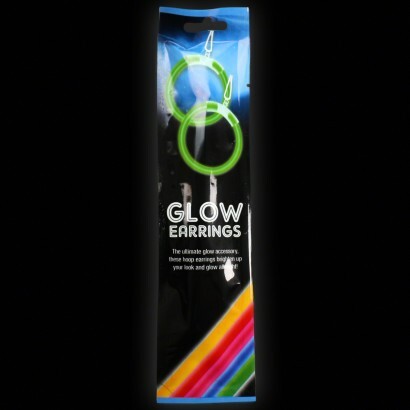 Brilliant fun, glowstick earrings are perfect for parties and will glow for up to eight hours a night! Glow for up to 8 hours a night!